Facebook bought the photo sharing iPhone app Instagram early this April for over $1 Billion. The 13 Instagram engineers were brought under the fold of the popular social networking site “to evolve Instagram and build the network.” But ever since the takeover, controversy about whether Facebook did the right thing has sparked all over the Internet. Was Instagram really worth 1 Billion? When we talk about Instagram, the first thing that clicks our minds is a bunch of filters to give photos a cool retro look. But is that all Instagram does? Absolutely not. With Instagram you can even share your photos to the Instagram network. It’s a lot like Pinterest and Flicker punched together. It’s all about sharing, all about being social. So why not integrate a social service with a Social Network. Remember Spotify? Its the music sharing and discovery service giving access to millions of songs. Earlier, Spotify users could share songs only within the Spotify Network. But after Facebook integrated with Spotify, the sharing network grew larger to include more Facebook users. Now, Spotify users can share songs directly on Facebook. The same can be assumed with Instagram too. There should be no surprise to see a Facebook-only signup with Instagram in a few days. Facebook is slowly but steadily capturing one of the world’s largest social communities – Entertainment. Music earlier, now photos. One could even expect to find YouTube under Facebook, if it wasn’t a Google product. 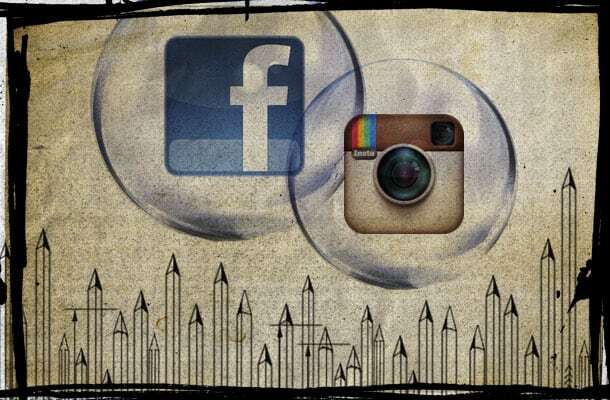 Instagram had more than 30 million users when they joined Facebook. In other words, Facebook was targeting the users of the product. There is a big difference between a new product and a product that has over 30 million users. In simple terms, a product with a prominent user base is much more valuable than a new product. Currently Instagram has more than 40 million users. It would take a lot of time for a new app, even on Facebook, to become that much valuable. Owning a product like Instagram means on one hand Facebook captures a large part of the entertainment market; while on the other hand they earn more with the product. Mark Zuckerberg, the CEO of Facebook, is also business strategist. His ideas are not to be underestimated and he certainly has long term plans for Facebook. The motive behind spending over a billion dollars for an app based company is not yet revealed, but surely we can expect a few big changes coming to Facebook and Instagram soon.